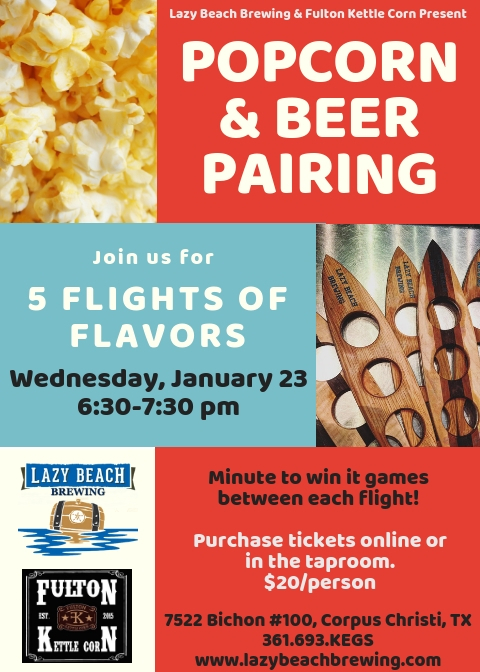 We have partnered with Fulton Kettle Corn to bring you our first Popcorn & Beer Pairing!! 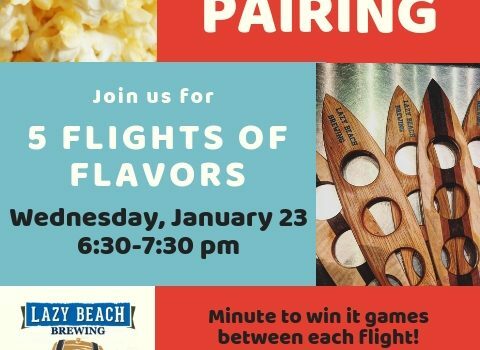 We will be serving 5 flights, each with a taster of our beer that we’ve paired with a specialty popcorn by Fulton Kettle Corn. What better way to get you through the work week?! Limited to 30 people, so snag yours before they’re gone! Minute to win it games between each flight!